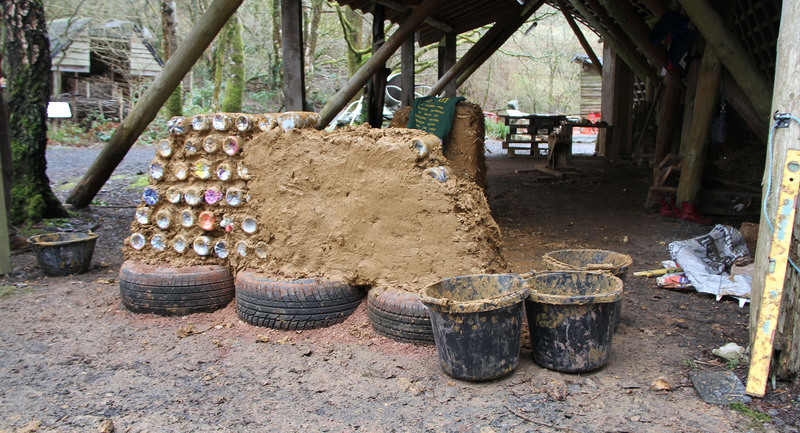 Combining traditional cob building with innovative ways of using waste materials. 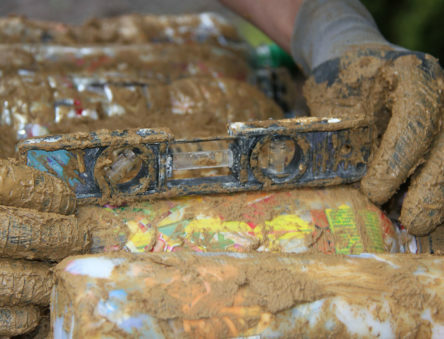 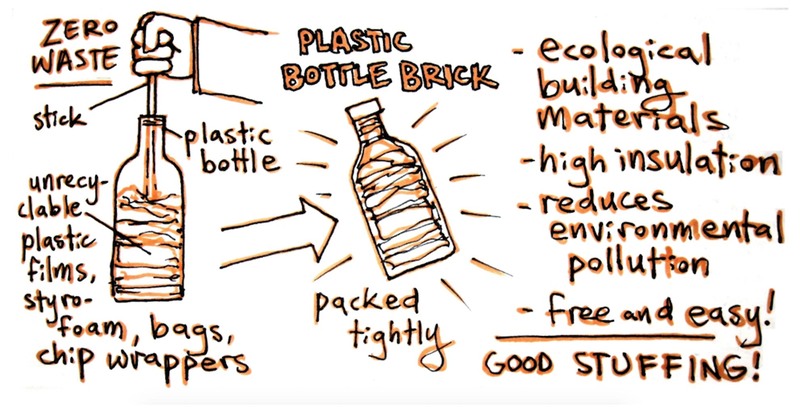 Building with waste plastic helps keep it out of landfill and away from our seas. 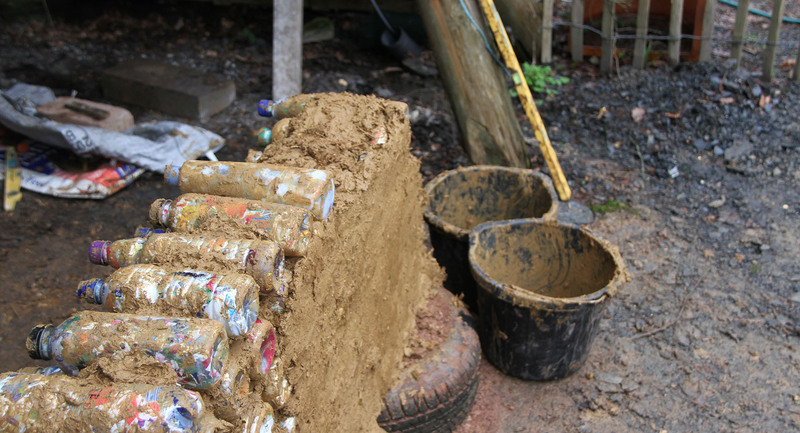 Learn how to combine waste materials with traditional cob building in this two-day hands-on course. 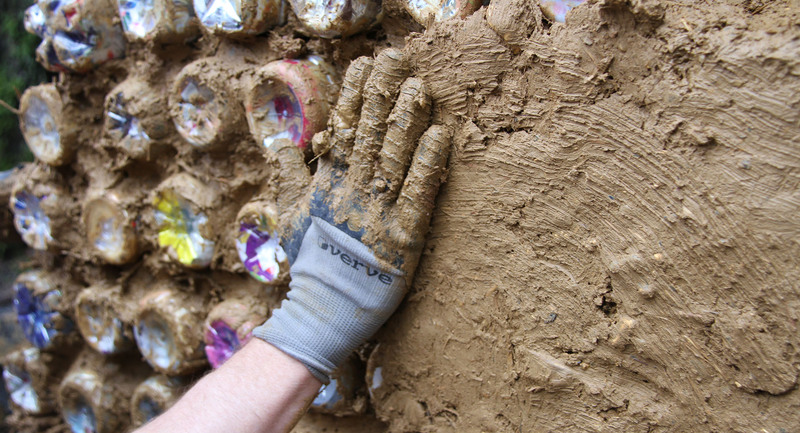 Learn how to combine traditional cob building with waste materials to create unique, sculptural, low-impact bottle walls. 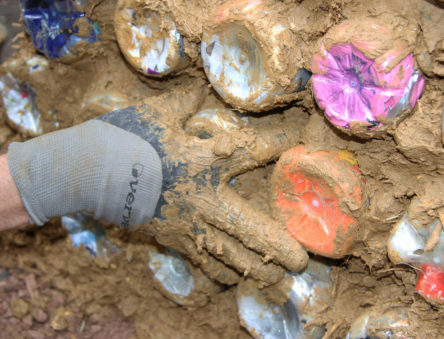 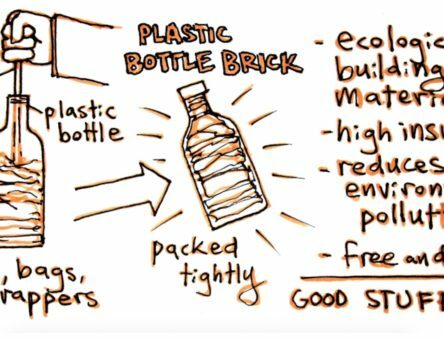 ‘Ecobricks’ are bottles stuffed with un-recyclable plastic. 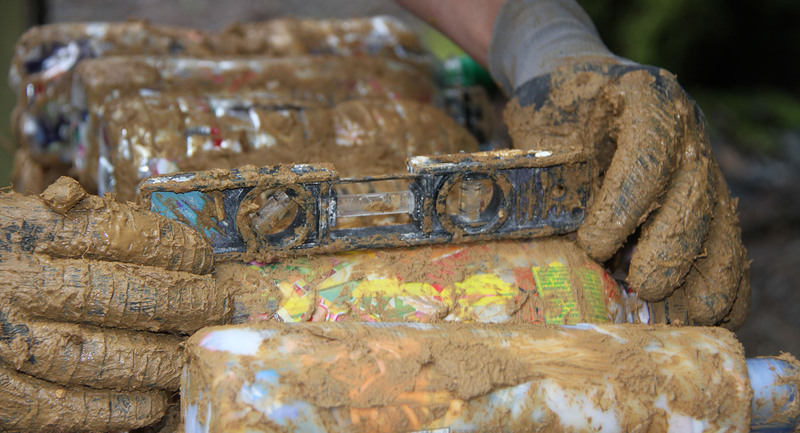 This contains the waste plastic, preventing it from going to landfill or into our seas. 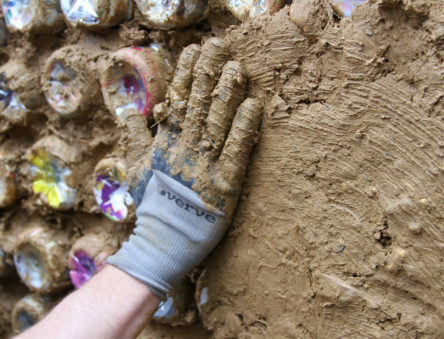 The stuffed bottles can then be incorporated into cob walls to become an innovative, attractive, insulating building material that can be disassembled and reused. 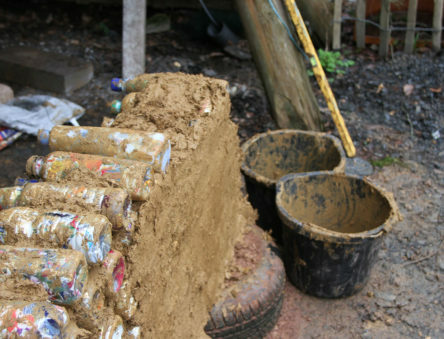 Other materials will also be introduced in the foundation and roofing stages as we create a cob bottle building from earth and waste. 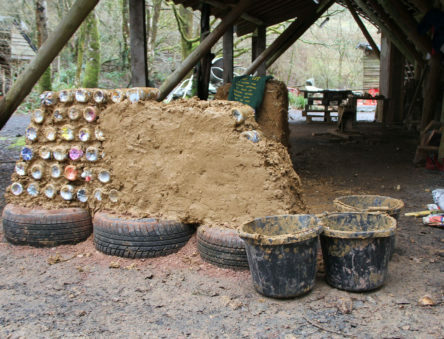 Using plastic and other ‘rubbish’ in building is a great way to raise awareness of the issues at the same time as taking them out of the waste stream. 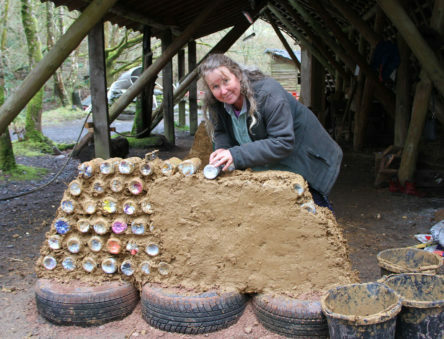 Your course leader Lizzie Wynn is a CAT graduate, with an MSc in Sustainability and Adaptation in the Built Environment. 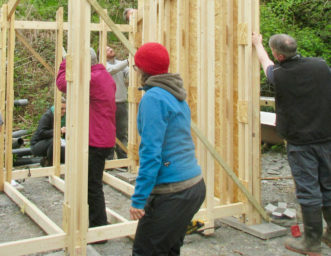 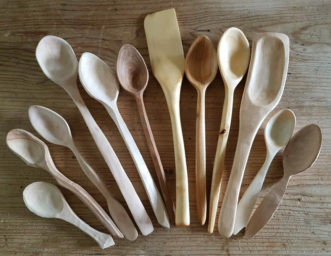 She has over 20 years’ experience in creative building with local, natural and waste materials in the UK and Spain as a self-builder, a sustainable building contractor and a humanitarian project worker with Saladworkers of Spain. 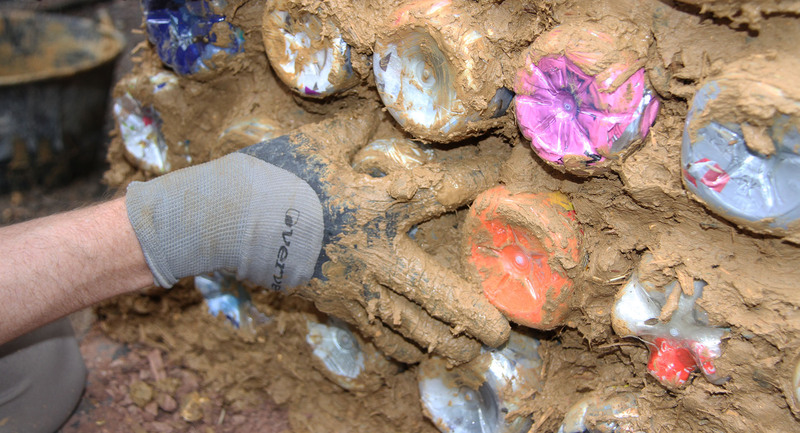 Her recent research has been focused in Gaza. 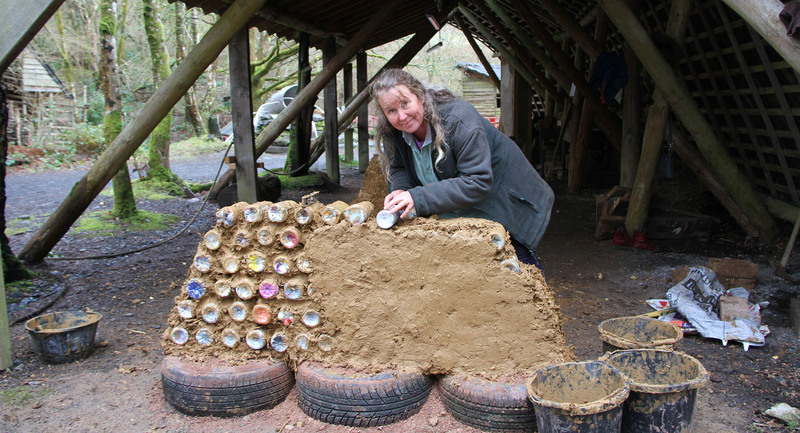 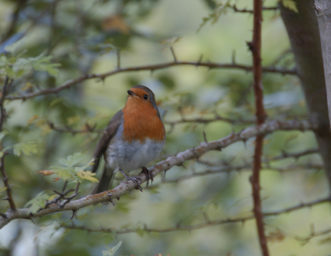 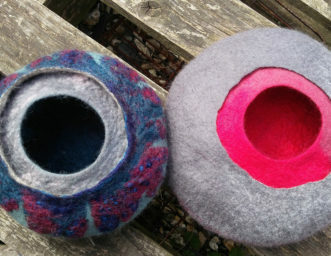 You can see some of Lizzie’s building projects on her website Off the Wall Wales.